"We are the best side of the coin"
WHY ARE WE THE BEST CURRENCY EXCHANGE IN THE MARKET? We are your advisors. Through our personalized service, we provide you with advice and follow-up so you can carry out more profitable transactions for you and your company, so you can benefit from extremely competitive exchange rates with a fast and efficient service. Furthermore, with our currency exchange table you can trade dollars, euros, and different hard and exotic currencies you may require. To transfer these funds through our international transfer service, contact us and we will be glad to assist you. 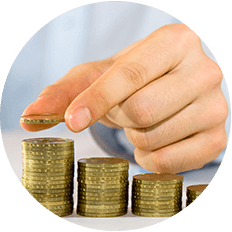 We have several accounts throughout the financial system so you do not pay for fund transfer fees. We also offer SINPE (National System for Electronic Payments) service, free of charge for your currency exchanges which we are able to process in a shorter time thanks to our swift internal mechanisms for processing transactions. We offer a preferential exchange rate for transactions over $10,000. Please consult with our currency advisor. You can also carry out an excellent currency exchange visiting any of our agencies located in Sabanilla, Rohrmoser, Santa Ana, Heredia, Guápiles and Liberia. If you need to know the exchange rate, call us free of charge: 800-1020-300. Recent public utility bill (water, power or telephone). Financial statements (two previous fiscal years and a recent fiscal year to date– not older than three months). A copy of the company’s legal representative’s personal identification, legible and valid. A copy of your personal identification, legible and valid. Employees: employer certification, and salary certificate. Independent professionals: CPA income certification and six months of bank statements.